Live Large with Olympic & Sound views. Turnkey 5 bedrm (+ office/den), 2.5 bath, Mid-Century Modern in Normandy Park! Manhattan neighborhood w/prof installed landscape. 2 garages, including attached RV/boat garage + huge shop! New kitchen, baths, & almost all interior surfaces & fixtures! Full rec. room downstairs. Large, private backyard with covered deck off kitchen. Additional deck view side of house with built-in BBQ. 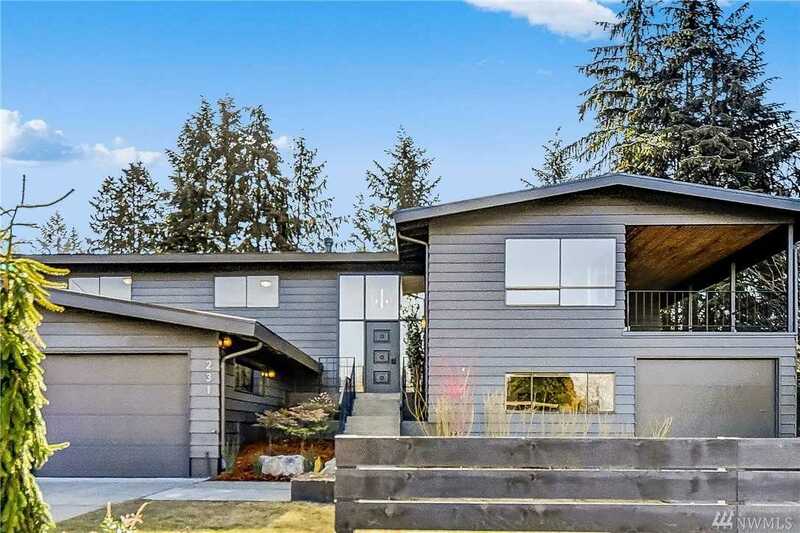 Spacious Normandy Park home you've been waiting for! Won't last long. Directions: 1st Ave, West on SW 178th St, Right on 3rd PL SW, Right on SW 177th St, house is on Right side.